If you’re hoping to find fun things to do in Amsterdam, you won’t be at a lost with this amazing list of cultural wonders to help you explore Amsterdam as it was in the Dutch Golden Age. For those who are concerned about the best time to go to Amsterdam, it highly depends on your preference of being around crowds, which adds a more vibrant and lively scene to a city, or if you prefer the quiet ambiance of a peaceful surrounding. Summertime is naturally busy with the school holidays in its happening while the winter season offers a more quiet scene. If you’d like to experience the Dutch Golden Age in Amsterdam, January to February are the ideal months to visit due to city-wide exhibitions celebrating the Dutch Golden Age occurring at that time of year. With the explosion of culture, cuisine, cafes, surrounded by a curious view of hot pink windows, the city of Amsterdam shines of the historical impressions of the Dutch Golden Age. With the official date of the Dutch Golden Age spanning from 1585 to 1672, the Dutch rule over Amsterdam witnessed an explosion of glorious culture and wealth. Here is a list of wonders that have lived on from those times. Explore your artsy side at the Rembrandt House which also offers a Rembrandt House Museum to view his works. This mastermind of a painter was considered to be one of the greatest, most innovative, and prolific master of visual arts witnessed throughout art history. Rembrandt is notably the figure who thrived successfully during the history of Dutch art. The forgotten pupils of Rembrandt, the exhibition in remembrance of Flinck and Bol takes place in Rembrandt's House as well as the Amsterdam Museum yearly. Despite both Flinck and Bol completing their training at Rembrandt’s House and even surpassing Rembrandt in commercial painting popularity, they were quickly hidden behind their master’s shadows at their time of death. Amsterdam Museum hosts many of the popular paintings of both Flinch and Bol alongside Rembrandt’s iconic painting of his sitters with their flaws as he saw them. With the successes witnessed by Ferdinand Bol during his peak of commercial painting, he quit being a painter and resided at the Keizersgracht 672 which is now known as the Museum Van Loon. On show, there is a wide range of impressive art collections of Bol’s work as well as Rembrandts and Rubens. The best time to place to explore Amsterdam at night is along the Amsterdam canals. Albeit a little touristy, the unique advantage of embracing the Dutch Golden Age influence on 18th century housing is magnificent. It’s one of the best free things to do in Amsterdam while you’re here! 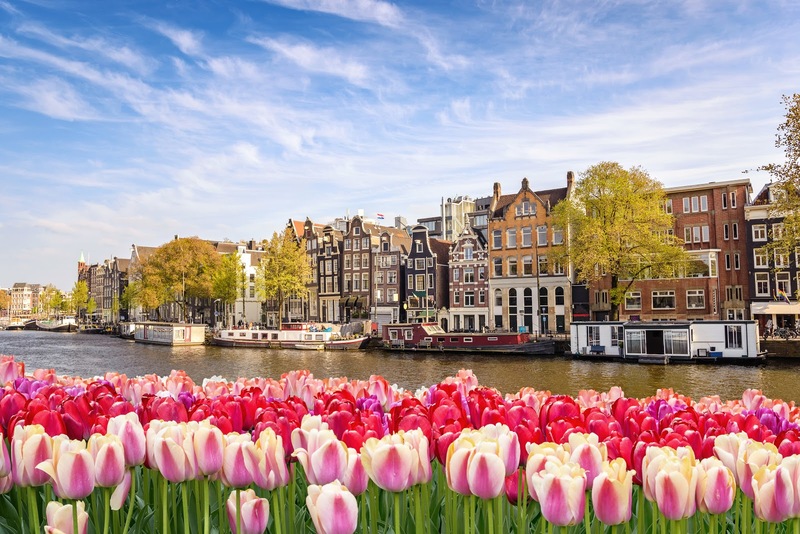 As you can tell, there are plenty of things to do in Holland and if you’re looking for a cheap fare to Amsterdam, a fare compare website like FareDepot can help you find cheap flights to Amsterdam at the click of a button!